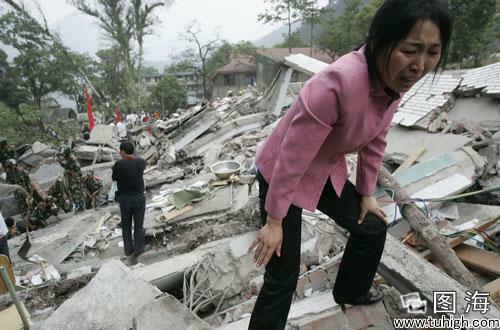 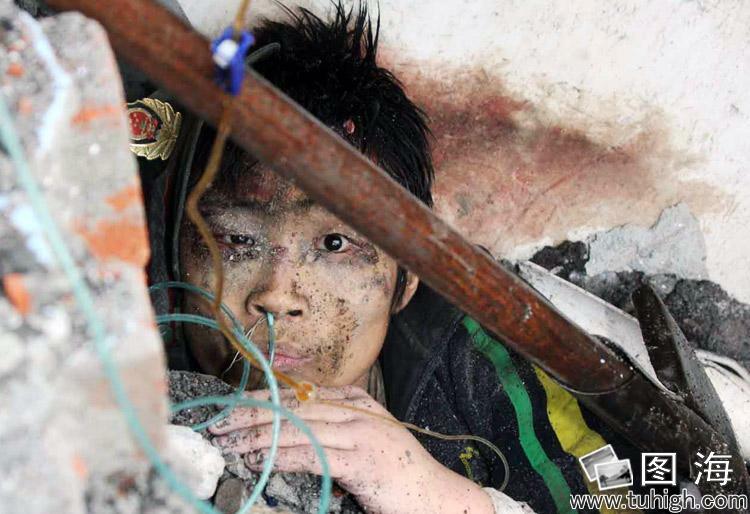 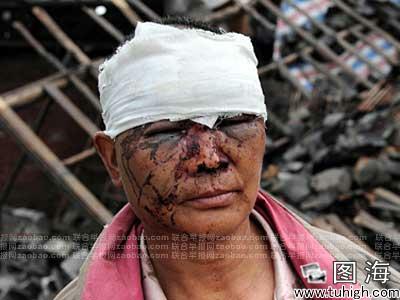 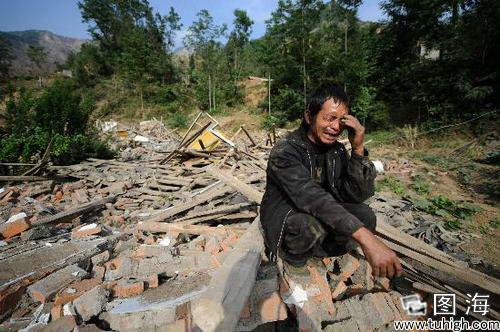 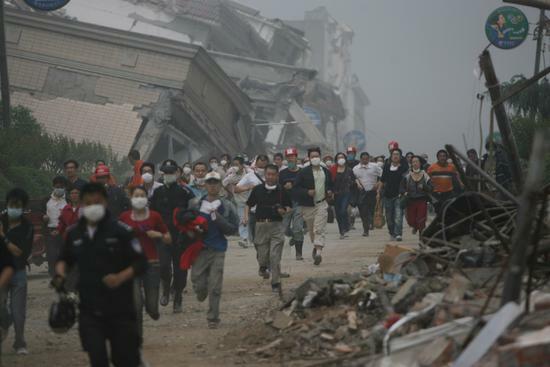 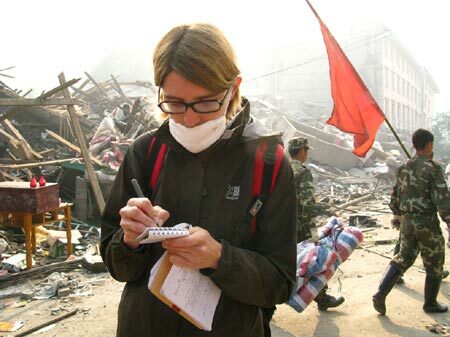 The earthquake was the worst to strike China since the Tangshan earthquake in 1976, which claimed 242,000 lives. 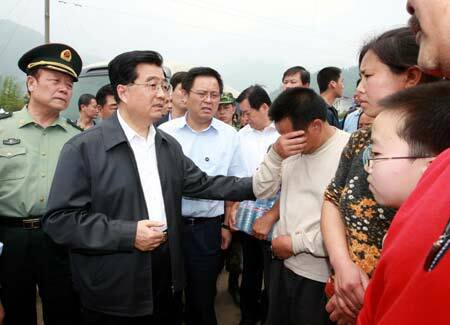 Chinese President Hu Jintao arrived the earthquake area and consoles locals in a village in Beichuan county, May 16, 2008. 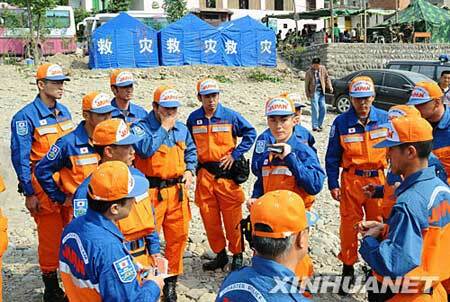 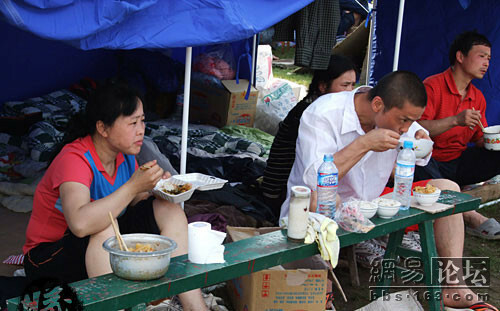 All People in Beichuan Town were asked to leave immediately due to the dangerous situation of a nearby reservoir dam. 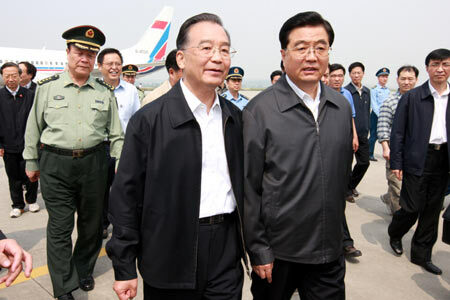 May 17.